FAMILY SPIRIT: Hudson and Lattimore are a close-knit mother-son duo facing the music. As we all know by now, Jennifer Hudson's singing voice is a remarkably fine-tuned instrument that continues to hold the music world, and indeed Hollywood, in her thrall, with her pick of parts, ranging from her Academy Award-winning turn as Effie White in Dreamgirls to her more recent portrayal of the titular heroine in the underappreciated Winnie. 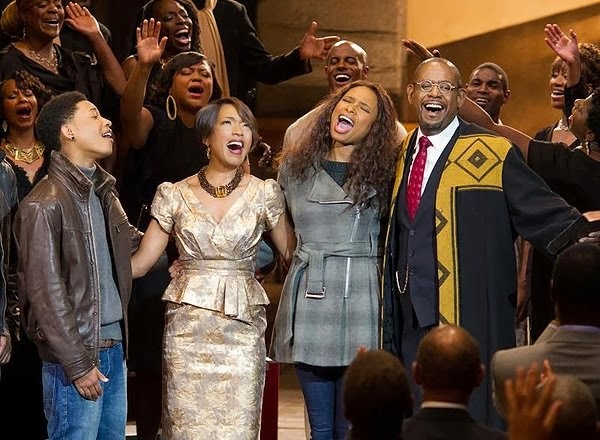 This month, the actress-singer brings those outsize vocals and respectable acting ability to Black Nativity, a rousing and hugely enjoyable gospel-themed musical based on the Langston Hughes play about family and healing old wounds, now adapted for the big screen and stylishly directed by Kasi Lemmons. With a star-packed ensemble, including fellow heavyweights Forest Whitaker and Angela Bassett, Hudson shines as Naima, a doting mother struggling to make ends meet and raise her headstrong young son Langston (Jacob Lattimore). When their home is put up for foreclosure at the height of the Christmas holidays, Naima reluctantly sends the boy to spend time with his grandfolks, her estranged parents (played by Whitaker and Bassett), a prominent pastor and wife based in Harlem, in the hope that things will take a turn for the better. But in the way that circumstances often happen, greater trials come into play, but especially when pieces of the family's past bubble to the surface with life-altering consequences. Rounding out the strong supporting cast: Tyrese Gibson, Nasir 'Nas' Jones, Luke James and Vondie Curtis Hall.